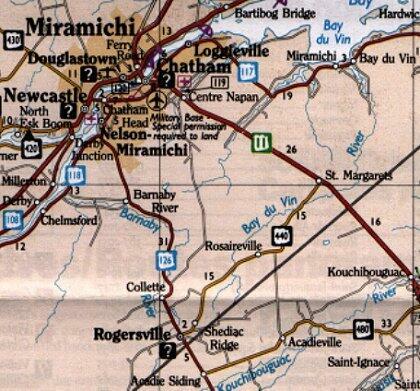 - (1998) Located 12 miles southeast of Chatham, NB. Map 1 is courtesy New Brunswick Tourism. Used with permission.